Tired of Getting Frustrated When Planning Your Garden? Are you always having to start over and erase what you've done? Can't get your plants just how you want them? Create your garden beds with the easy to use bed layout tool and then fill them with all the plants you want to grow this year. You can quickly resize your plants, move them around, and even line them up with the click of a button! So Give Your Eraser a Break! You'll never have to throw away another bad garden design again. We know that starting a vegetable garden is a large task. That is why we try to deliver all the information you need to know to plan and layout your vegetable garden and ensure a successful harvest. We also provide many tools to help you manage your garden from start to finish, because planting your vegetables is just the start of the process of growing them. Also check out our iPhone Produce Converter app! All of our public tools are available to everyone, regardless of whether or not they are a member of our community. We have articles on a variety of gardening topics and more coming out every week. We have you covered from organic gardening to choosing what vegetables to grow. 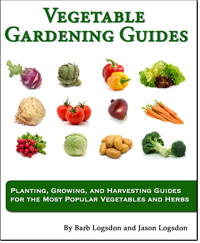 From information on planting and growing to harvesting and disease prevention our guide has all the information you need for growing a successful garden. Have a question you just can't find an answer to? Ask it in our Community How-To section and let other gardeners give you their best advice. Building a new garden bed? Filling an old bed? Use our soil calculator to easily determine how much topsoil you will need. To access our members-only tools you simply need to join our community of gardeners. It is fast to do. Create your garden beds with the easy to use bed layout tool and then fill them with all the plants you want to grow this year. Easily rearrange them until you have the perfect garden design! Our garden planner tool will help you with all your gardening needs.